Want it by Thursday 25th April? Order within 1 day, 22 hours, 56 minutes and choose Royal Mail Tracked 24 Hour at checkout. The striped Alma Jersey Scarf by Masai is a lovely, generous and soft scarf which would make the perfect addition to any outfit. 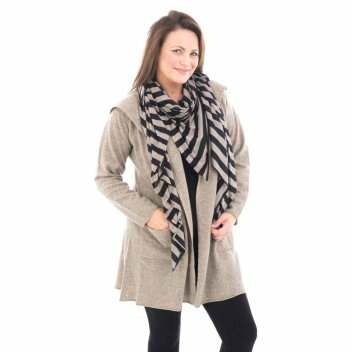 Keeping you stylish and cosy this bold striped scarf is a versatile piece you’ll be able to wear year-round.